KUWAIT CITY, Jan 30: Manaf A. Alhajeri, Chief Executive Officer of Kuwait Financial Centre 'Markaz' participated in Kuwait Industrial Conference and Forum and put forth recommendations to develop the Kuwait economy and effectively utilize the capital markets. Financing needs for augmenting infrastructure capacity including providing for housing, addition of power capacity, expansion of capacity at airports and seaports, development of roads, and climate adaptation and mitigation are massive. For instance, Kuwait has envisioned over USD 100bn worth of infrastructural projects as part of its National Development Plan. It wouldn't be prudent to entirely rely on the government or the banking sector for funding the investments. An alternative is greater use of primary capital markets – both local and international – to help close the gap. Private sector debt raising and equity finance are important sources of financing for Public Private Partnership (PPP) projects. Developing local debt capital markets is crucial in providing innovative financial solutions. Debt capital markets can mobilize private sector funds to finance infrastructure, housing and other priority sectors, thereby reducing dependence on government financing. Alhajeri pointed out that Kuwait needs to build upon the progress that it has already made in improving its business environment. Setting up of a robust regulatory framework and providing incentives would go a long way in encouraging private sector to play a greater role in the economy. Kuwait needs to channelize its efforts by selectively choosing focus sectors that are in line with their long-term objectives. Alhajeri noted that Kuwait intends to enhance the industrial output by 25% from the existing levels in the coming years. However, it faces the challenging task of allocating limited industrial land and awarding licenses to boost & upgrade industrial capacity in Kuwait. While the choices are simple, the decisions are clouded due to market distortions such as inflated land prices and subsidized electricity prices. Social imperatives such as job creation for the nationals needs to be considered when the world is fast embracing robotics and work automation. Once we attain clarity on how to steer Kuwait economy, we could devise the incentives that shall encourage participation from the private sector and foreign players. The existing subsidies could also be overhauled so that the government expense supports productivity growth. 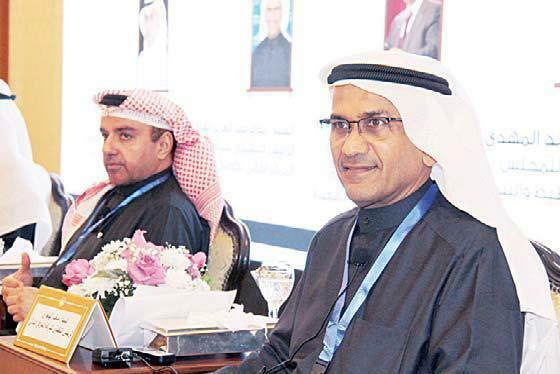 Alhajeri stressed on the need to focus on innovation as 80% of growth is accounted by innovation and the accompanying technological advancements. Globalization and liberalized markets have led emerging leaders take it all. In this regard, the rise of global service providers such as Google, Facebook, Amazon, or Uber are appropriate examples. Government is a crucial enabler to drive forward the economy. In Kuwait context, we have established KDIPA as premier institution to facilitate foreign investments and to capitalize on the upcoming economic opportunities. However, what we lack are the opportunities. Government being a large scale player in the Kuwait economy could attune its procurement policies in such a way that the private sector, particularly the SMEs, stand to benefit by being part of global supply chains. In this regard, emphasis must be laid on technology transfer programs that is imperative for domestic firms to move up the value chain. To attain such a state, Kuwait needs to overcome structural impediments and challenges that are inherent in public sector including lack of experience, poor accountability and badly attuned procurement guidelines.